Parsnip 'Tender and True' is a popular variety which forms long roots of high quality that are at least 7cm (3in) wide across at the top. It has good resistance to canker and is probably one of the best flavoured varieties to use for both the kitchen and exhibition. Parsnips are easy to grow and need little maintenance, they can be left in the soil over winter and lifted as required. Freezing seems to improve them and gives them a more delicate taste. They are a perfect winter vegetable and provide a valuable crop when other vegetables are scarce. Fresh parsnip will have a soft texture when cooked, but an old parsnip will be fibrous and bitter. The whiter parsnips tend to be the tenderest, and should be firm like carrots. With a sweet nutty flavour, roast parsnips are a joy to eat - and they're absolutely gorgeous in stews. 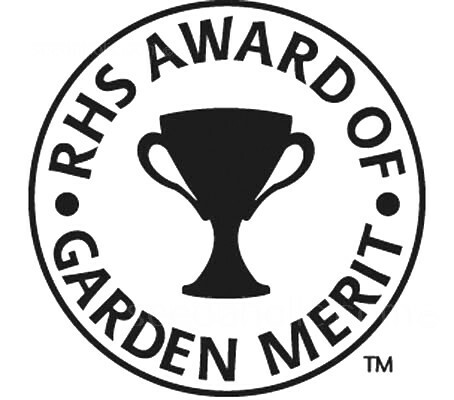 Parsnip Tender and True has been awarded the RHS Award of Garden Merit (AGM). Parsnips are not fussy about what soil types they grow in. For all plants that have deep-growing roots as the parsnip and if you wish to grow the long, ‘perfect’ looking parsnip, you will need deep soil, that has recently been manured and is stone free. If parsnips hit a stone while growing they tend to fork. They grow best in a light, rich soil. A generous amount of compost or humus in some other form, incorporated in the soil will help provide soil aeration and a uniform distribution of moisture, besides the source of food supply for the plants. 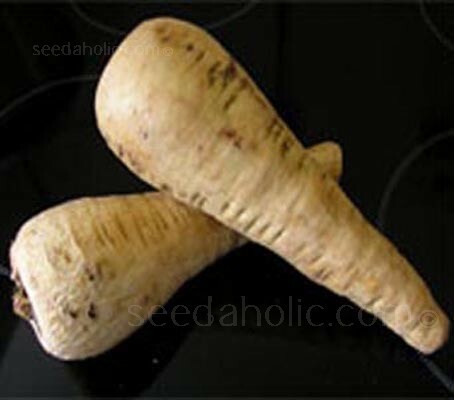 Parsnip seeds have a very short vitality; fresh seed should be secured each year. If you are going to sow as early as February or March, you may wish to warm the soil with cloches or similar, leaving them in place until the seedlings have developed two true leaves. Sowings made in late March to early May should not need a cloche. Parsnip germination rates can be low and seeds germinate slowly. It can be difficult to get a full row of seedlings. However, once parsnips have germinated they are really easy to grow. Soaking the seed overnight may help to hasten germination. It is wise to mulch the rows after planting as the soil must remain cool and moist during the germination period when the seeds are in danger of drying out. Water regularly. Weed using a hoe or by hand but be careful not to disturb the young seedlings. You may also consider planting radish seed along with the parsnips; they will mark the row and keep the crust from hardening, making life a little easier for the parsnip pushing through. As the radishes become of edible size, use them and weed and thin the parsnip seedlings to stand 6 inches apart. Parsnip seeds take a relatively long time to germinate, around six weeks, and in this time there are many variables that can affect their viability - particularly drought or water logging and the wide fluctuations we can have in spring from below zero to double figures Celsius compound the difficulties. Then, of course, there are pests! To improve germination results, try sowing into cardboard cylinders. This method enables us to more closely monitor temperature and moisture levels during germination and avoids the difficulty of disturbing the long root of the parsnip. Collect the cardboard tubes from toilet rolls or make newspaper cylinders made by wrapping newspaper around a brush stave, secure with tape. Fill with compost, stand in a plastic box and moisten. Sow three or four seeds into each cylinder and cover with a little more compost. Keep watered in an unheated greenhouse until germination. Allow only the strongest plant in each cylinder to grow on. Once the little plants have established themselves, dibber the cardboard cylinders into the bed that will be their home until harvesting. Harvesting: Harvest mid August to early April. The tops will die down once the parsnips are ready to be harvested (late October) however it is traditional to wait until after the first frost to harvest, it is said to improve the flavour. Use a fork to carefully lift them. Don’t harvest all of them immediately; the best method of storage is to leave them in the ground, but lifting a few extra in November will ensure you still have parsnips to eat even if the soil is frozen. Harvesting can continue right up until early April. In spring dig as needed until new tops start to grow, then dig all that remains and store them in a cold place to prevent sprouting. After the growth of new tops begins, the roots lose flavour. The parsnip has long been an inmate of the garden, and was formerly much used. In Catholic times it was famous Lent root, being eaten with salted fish. In the North of Scotland parsnips were mixed with potatoes and a little butter for the children - poor children who apparently were very fond of it and thrived upon it. In the North of Ireland a 'pleasant table beverage' was prepared from the roots with hops. Parsnip wine was made and an excellent spirit could be distilled after a similar preparatory process to that which was used for potatoes. Mid August to early April.